Greg Harrison’s November is one of those frustratingly opaque, reality bending sketchy thrillers where a metaphysical shudder is sent through someone’s fabric of existence, in this case that of photography professor Courtney Cox. Driving home late one night, her husband (James LeGros) runs in to a Kwik-E-Mart to grab her a snack right at the same moment a burglar (Matthew Carey) brandishes a gun, and then open fires. After he’s killed, you feel like the film is in for a run of the mill grieving process as she visits a therapist (Nora Dunn). Events take a detour down Twilight Zone alley though when a spooky photograph shows up amongst one of her student’s portfolios, a snapshot of that very night at the store, apparently zoomed in on her husband. Who took it? Is the man actually dead? Will the film provide the concrete answers that some viewers so fervently salivate for in these types of films? Not really, as a heads up. As soon as things begin to get weird, they pretty much stay that way for the duration of the exceedingly short runtime (it clocks in under eighty minutes!). 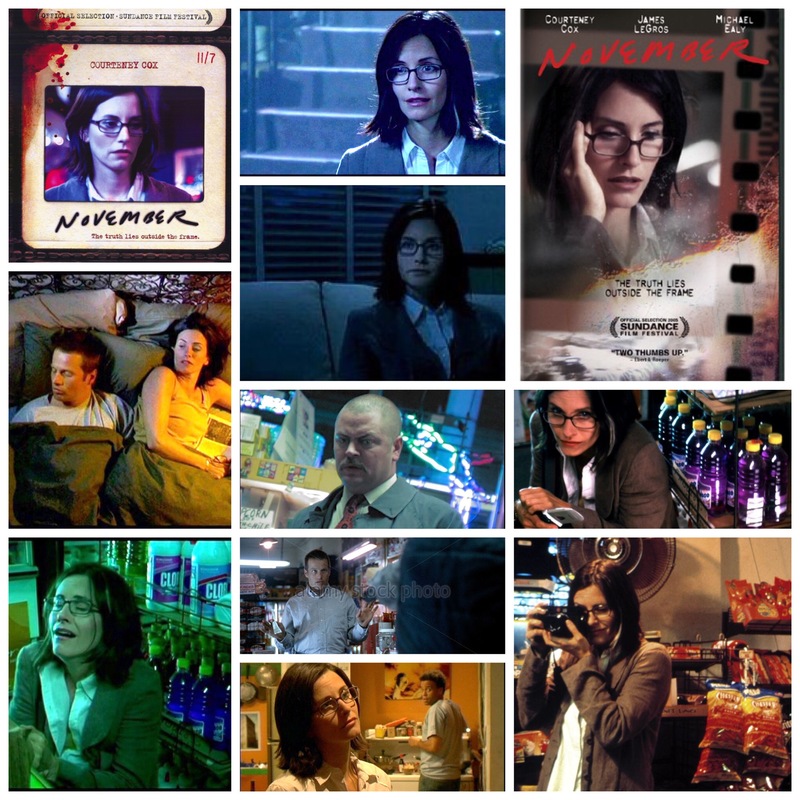 Cox’s character revisits that fateful night from many different angles and impressions, either reliving it, recreating it or simply stuck in some sort of alternate time loop chain. There’s a policeman played by Nick Offerman who offers little in the way of help, and she’s left more or less on her own through this fractured looking glass of garbled mystic confusion. The tone and aesthetic of it are quite something though, a jerky, stark Polaroid style mood-board that evokes ones like The Jacket and Memento, with an art house industrial touch to the deliberately closeup, disoriented visuals. It’s a bit maddening from the perspective of someone only looking for answers, and if that’s why you came, you’ll be left wringing your hands and losing sleep. If you enjoy the secrets left unravelled, and are a viewer who revels in unlocked mysteries left that way, recognizing the potent energies distilled from unexplained ambiguity, give it a go.